Yesterday was a tough day. It was very stormy, with enormous seas and winds between 30 and 45 knots throwing the boat all over the place. It was hard to simply stand up. In the middle of this, I began to smell something burning. It smelled like melting plastic... and that’s what it turned out to be. 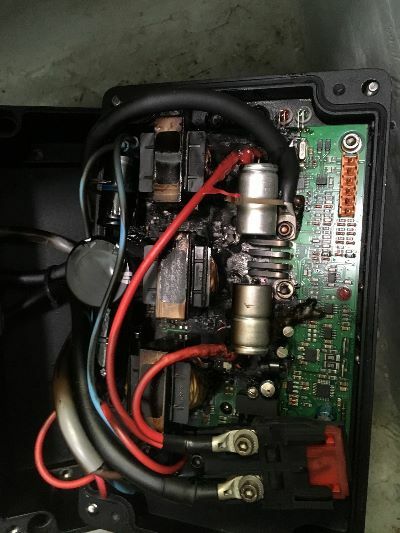 The "black box" regulator that sits under my navigation seat for my hydro-generator system that takes the AC current produced from the propellers spinning off the back of the boat and turns it into DC current to charge the batteries, had overheated and fried its circuit board (see Facebook/attached photo). I knew I smelled something bad, but it took me a while to locate the smell and then get the whole thing apart and when I finally did, I knew in a second I was screwed. 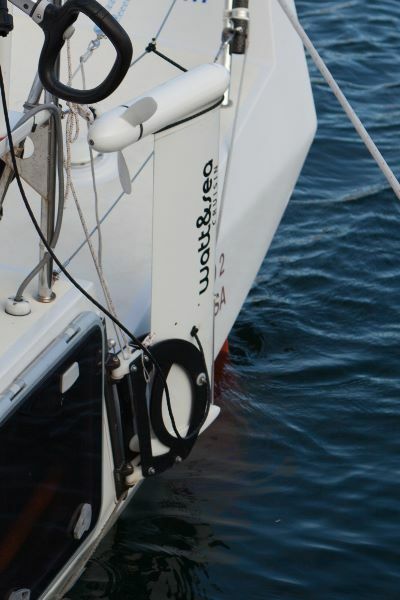 The two hydro-gens that look like little outboard engine legs hanging off the transom of the boat just port and starboard of centerline (Facebook/attached photo) had provided roughly 90% of all the electricity I have used to date on the trip. They are wonderful “free” energy in that they consume nothing and produce lots of electricity when the boat goes fast. I don't know exactly why the regulator box got so hot and ended up melting the board. The best theory is that since the boat was going very fast, the hydro props were spinning fast and produced more electricity than the regulator and batteries could handle, and that excess energy turned into heat, which melted the circuit board. Unfortunately, I don't have either a spare regulator box onboard, nor do I have enough diesel fuel to charge the batteries for the estimated 85 days left in the voyage without the benefit of the hydros’ contribution. my goal began as simply sailing solo around the world safely, with the record piece being a bonus. I am now returning to those basic goals, and feel good about being out here for the right reasons. To be clear, I do intend to pursue the record of 137 days "unofficially", as I still think I can beat it, even with lost time to the stopover- and wouldn't that be cool? So I hope you will continue to support the "Team GS2 Totally Excellent Kharma Bus RTW 2015/16 Campaign" (now there's a good t-shirt!) and I will continue to provide frequent Facebook/email updates as I have thus far. Thanks for your ongoing support. Game is still on. Happy holidays to all!